Sometimes you don’t know what you need until it’s given to you. No, that’s not a 2017 Cinderella cover or anything, it’s just simple truth. Whether it’s a breath mint from a helpful friend or a simple check-yourself-before-you-wreck-yourself, this age-old adage repeats. As Magic players, we experience this phenomenon all too often, whether we notice it or not. A loyal buddy gently advises you against playing Seismic Assault. A kind opponent instructs your RG Breach deck in the lesson of Mana Leak. No, I get it, buddy, you drew too many lands. Sure. Last week, through a series of complicated events, I found myself 600 miles away from home, in Tampa, Florida, playing Standard. Dramatic pause for inserted scream track. Don’t worry, this isn’t a Standard tournament report, but in a more real sense it is entirely a report on the experience of jumping headfirst into an environment you are wholly unprepared for. You look confused, so I’ll speak plainly. 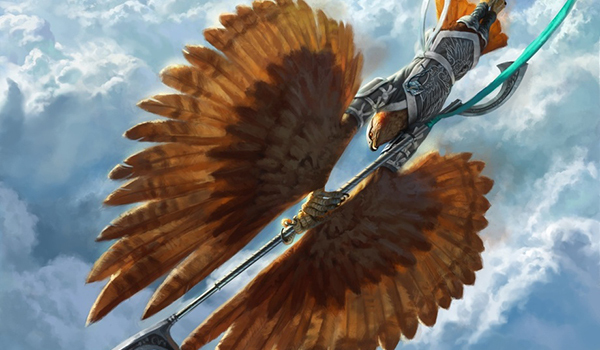 Today, I’ll be giving an account of what it’s like to play Magic free from the shackles of analytical burden, as what some in the business refer to a “filthy casual.” Then, I’ll take this experience and attempt to stuff it inside a Modern deck you can play and win with. You know, without feeling like the world is against you and life isn’t fair because Sun Titan isn’t good in Modern. I had no intentions of playing. I was along for the weekend with my dad, getting away for a couple days to travel down and watch the Tampa Bay Buccaneers beat the New York Giants at home (which we did, thank you very much). We had some free time on Friday and decided to hop in on FNM, him piloting some Grixis monstrosity, while I searched desperately for Star Wars: Destiny pickup games. I got stood up by someone that said they were interested and would meet me there, so I pushed past bad memories of high school and begrudgingly accepted a half completed UW Reanimator deck. Wondering where my evening had gone, I sat down against my first opponent with some Sacred Cats and a one-of Opt as recent additions to the maindeck, because, you know, one-drops. Keep in mind I haven’t played Standard since Jace, Vryn’s Prodigy was new, and you can probably tell where this is going. All the dual lands in my deck were Chinese, but that’s okay because I only had like two or three anyways. You can see I wasn’t exactly being set up for success here. For someone like me, obsessed with context, infatuated with the need for perfect information and the desire to “take the best line,” getting handed a thrown-together deck and a hasty “good luck kid” as I’m kicked out the door feels something like getting dumped into a bucket of boiling tears, except the tears are made of acid and its slightly humid outside. This is a love story though, or at least a romantic comedy, so the good guy wins in the end. I went 3-1, knowing nothing about the format, what my opponent was doing, or even what I was doing. “My card gets God Pharaoh’s Gift but I don’t know what that does—hopefully it helps me here…” I faced my dad in the last round and scooped him into Top 8, where he got to Top 4, split, and took home 22 packs. As an aside, calm down with the five rounds plus Top 8, CoolStuff Games. This isn’t SCG Tampa here. I say all that to say this: there is value in not knowing everything about the format. In my state of blissful ignorance, I wasn’t playing around counterspells because I didn’t know what counterspells to play around, or if there even were any worth playing in Standard. I had Hope of Ghirapur but didn’t know what I was Hoping for—a miracle I guess. No, wrong plane. Sweepers had to be a thing, because I looked around and others were playing creatures, so it made sense, but I didn’t know what colors they were, where they were costed, or who was playing them. As a result, I made horrible plays all day long. I didn’t respect the Supreme Will, because I didn’t know what Supreme Will did. That Hope of Ghirapur was an Aven Skirmisher for my purposes, which apparently is just fine when he can swing for six turns. I was a bumbling idiot, and for the first time in a long time, I had a blast playing paper Magic. See, I’ve been on the other side. I was the competitive grinder that consistently placed in the top ranks at FNM, because in reality I didn’t belong there but I wasn’t about that #grindlife. Anything other than a victory was a bad day in my eyes. If you ain’t first, you’re last. I remember round-one nightmares, being down a game against Mr. Casual and his Bogles deck, praying that I wouldn’t lose because I was better, I deserved it, I wanted it more. I remember winning, getting some packs, and being disappointed that I had “wasted” my Friday because I didn’t pull anything of value. There’s a peace in knowing that you can’t know keep track of what every card on the board does, an affliction that plagues me and prevents me from playing Munchkin to this day. There’s a peace in realizing that you are woefully unprepared, and that’s okay, because you are playing bad cards that your opponent who plays every week doesn’t know (so we’re kind of even, but not really). There’s a peace in playing the game to take pleasure in the little things, like playing two Regal Caracal’s and swinging in with armies of cats, pumping that embalmed Sacred Cat we chumped with earlier into a 3/3 because value. There’s a peace in not remembering the names of all these cards and having to go through Gatherer to figure out what they are, because not only do I not remember, but MTGGoldfish apparently deems them fringe, as who plays Regal Caracal? For someone whose Magic career has gone through shifts, but who has almost always been focused on competition, maximizing my performance, and being the best I can be, there’s a peace in playing for the love of the game. I just want value. I want to do fun things while at the same time trying to stay alive—not so I can win, but so I can do more fun things. I want moments. I want to see mountains, Gandalf—mountains—and then find somewhere quiet where I can finish my book. What is the difference between Esper Gifts and Solar Flare? Depends on who you ask. Answer probably involves the question, “Do you want to win?” We’ve established that I don’t. I’m not interested in the likely fact that Serum Visions is probably better. I’m tired of casting that card. I’m tired of my opponent resting his head on his knuckles while I agonize over my scry decisions like the blue player that I am. I much prefer playing Thought Scour. No format knowledge necessary, mill me every time, get our value and move on. Trimming a Thought Scour to play one Think Twice because we were out of space in the list? Sure! While we’re at it, lets add a Forbidden Alchemy in there too. Mini Mystical Teachings, you say? Gotta add, big daddy. I don’t want to Goryo’s Vengeance Obzedat, Ghost Council on turn two. That’s too competitive. I want to extract all the possible value I can from as many one-of instants and sorceries as possible, all the while giving myself as many targets for my flipped Jace, Vryn’s Prodigy. I want to cackle evilly and twiddle my fingers as my opponent dejectedly says, “go,” and I marvel at the millions of options before me. I want to have seven cards in hand at all times, and access to every single card in my graveyard. I want there to be no distinction between land, creature, and spell, all merely food for the engine. There’s a peace in not worrying for once about the metagame, about covering our bases, about maximizing our sideboard slots. There’s a peace in just playing a combination of our favorite cards, and if it doesn’t work, it doesn’t work. There’s a peace in knowing that we are probably marching to our deaths, but by God we’ll do it happily like the blind idiots we are. Haha. I see you “did the side event” this time round. Nice story I have to say. Resonated a lot with my own experience over the years of attempting to cobble together some semblance of competitiveness with limited time and no local opportunities to play properly. I still do the larger tournaments but I approach them as a kind of “treat” rather than the be-all and end-all. My personal best finish remains 11th of 300 but I put that mostly down to lack of attendance :). I can count the number of large tournaments (greater than 50 people) I’ve been to in the last five years on my hands… Maybe seven, not much above one a year. In the end, magic is fun, and it’s designed to resonate and channel through our fun-pathways more than our must-reach-the-protour ones. I love it for all that it offers, from story and world-building to the actual mechanics and rules-design of the cards. There’s a lot to appreciate and it’s all embedded in that sense of fun and play that you described here. A while back I was in the finals of an rptq. I realised when I sat down that even if I won, I still wouldn’t physically attend the protour. I took the packs and was satisfied. It’s down to perspective as you highlighted here.